Take 40% Off Girls Dresses Plus 20% Off with Promo SUMMER or DAD for 25% Off. Shop Now at Macys.com! There are so many amazing deals - I couldn't select just one! 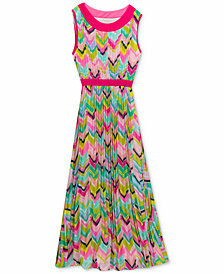 One I picked was this Rare Editions Chevron-Print Pleated Maxi Dress for $33.30 (Retail $74).